Reviewing 2012: Might Capuano have simply been fatigued? The Dodgers starting rotation over-went a major overhaul prior to the 2012 season, letting Hiroki Kuroda walk in fear that the team wouldn’t be able to afford to re-sign him. used its available money to sign two starting pitchers, one of whom was Chris Capuano. Capauno is a veteran left-handed starting pitcher who was coming off a solid comeback season with the New York Mets. Capuano had missed all of the 2008 and 2009 seasons recovering from Tommy John surgery and was slow in returning in 2010 with the Milwaukee Brewers. He returned to a starter’s role with the Mets in 2011 and the Dodgers locked in on Capuano to shore up the back end of the rotation. Capuano was arguably the Dodgers best starter in the first half of the season going 9-4 with a 2.91 ERA prior to the all-star break. However, he put up a 3-8 record with a 4.76 ERA in the season’s second half. Last year was a comeback year for Capuano and this year he put in more work than he has in six years. Capuano’s 12 wins this year were his second best ever. His 198.1 innings pitched were the third most for his career and the most since he pitched 221.1 innings all the way back in 2006 for Milwaukee. Cap’s 33 starts matched last year’s total with the Mets and was tied for third most in his career. Capuano also set career highs in ERA and WHIP and had exactly a 3:1 strikeout to walk ratio. Capuano was second on the Dodgers in wins and strikeouts behind Clayton Kershaw and was third in ERA behind Kershaw and Aaron Harang. May 11 vs. Rockies – Capuano pitched 7.0 innings of one-run ball, striking out three with no walks en route to a 5-0 record to start the season. Cap’s ERA was at a season-low 2.06 after this start. May 27 vs. Astros – Capuano pitched another solid 7.0 innings of one-run ball, striking out 8 this time, en route to a 7-1 record. Capuano had been locked in a pitchers duel with Houston’s J.A. Happ before the Dodgers offense broke open the game in the 7th and 8th innings. June 17 vs. White Sox – Capuano’s control was on display as he struck out a season-high 12 batters and mixed in only one walk in 8.0 innings of one-run ball against the Chicago. Although Capuano left the game trailing 1-0, the Dodgers tied it in the ninth and got a walk-off hit from Dee Gordon in the 10th to record a 2-1 win. Aug. 12 vs. Marlins – Capuano pitched 8.0 innings for the second time of the season. Cap struck out 10 Marlins and walked three. Capuano had a no-hitter through 6.0 innings and held the Marlins scoreless. He was on his toes for most of the game until the Dodgers scored 4 runs in the top half of the 8th inning to finally give Capuano a comfortable 5-0 lead that would hold up. Sept. 8 vs. Giants – Capuano pitched 7.0 solid innings of two-run ball striking out three and walking three. Capuano also helped his own cause with a single, and a run scored on a sac-fly by Shane Victorino. Capuano left the game trailing 2-1, but the Dodgers got to the Giants bullpen and went ahead 3-2 in the ninth. The win saw the Dodgers trim its deficit against San Francisco to four games at the time. Capuano signed a back-loaded contract that will pay him $7 million next year. Capuano has re-established himself as reliable starter and there’s no reason to think the Dodgers can’t trot Capuano out to the mound for close to another 200 innings next year. Capuano is athletic, can bunt the ball, and runs the bases well. After being one of the biggest surprises in MLB during the first-half, Capuano tailed off significantly in the second half of the season. Perhaps, fatigue figured into that. Capuano pitched the most innings he has thrown in six years this season. This year was only Capuano’s second back as a full-time starter after missing two full years and pitching mostly out of the bullpen in 2010. Capuano turned 34 in August. 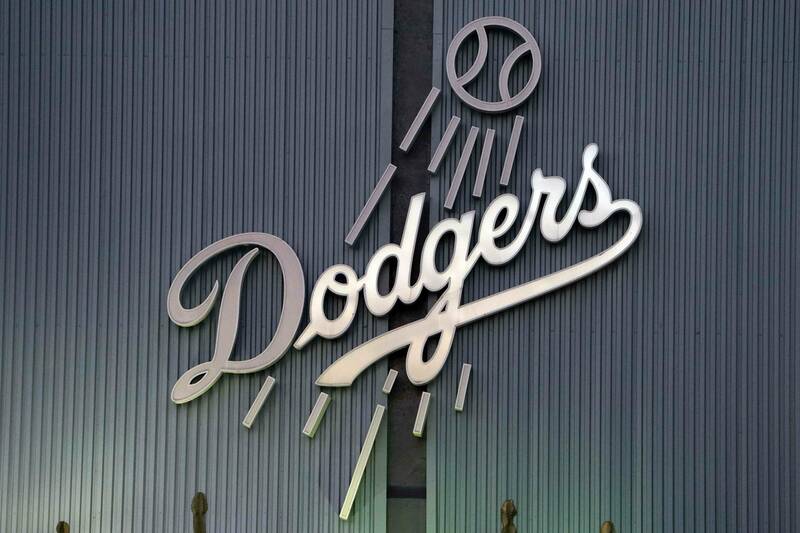 The Dodgers will have a surplus of starting pitching to start the season. Clayton Kershaw and Chad Billingsley are not going anywhere. It will be between Capuano, Josh Beckett, Ted Lilly and Aaron Harang to make up the rest of the rotation, depending upon whether or not Billingsley has to undergo elbow surgery in the off-season. If Billingsley misses time, it appears the Dodgers rotation is set. If Billingsley is healthy, it’s possible a starter could get traded. One would expect Capuano to start the season as the Dodgers No. 3 or 4 starter, however, the new ownership has shown they are willing to pursue anything. NextReviewing 2012: Hanley Ramirez saw the most of his opportunity in L.A.